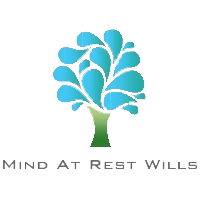 Mind at Rest are delighted to be working in conjunction with Safe Hands Funeral Plans - one of the UK's most established, recognised and affordable pre-paid funeral plan providers. According to the Bank of England the current rate of inflation is 3%. By comparison, according to the Sun Life Cost of Dying Report 2017 the average cost of a basic funeral rose from £3,897 in 2016, to £4,078 in 2017 - an increase of 4.7%. With funeral costs rising far in excess of the annual rate of inflation, it is an unfortunate fact that, for many families, budgeting for a funeral by traditional means may no longer be sufficient to cover the cost. How does a Safe Hands Funeral Plan work? Safe Hands Funeral Plans, in common with all other legitimate funeral plan companies, invest their customers' monies in a ring-fenced Trust Fund, through which they grow in value over the course of the plan holder's lifetime. Then, when the plan holder passes away, a sum of monies that we guarantee will be sufficient to cover the cost of the funeral director's fees and services, is released from the Trust Fund and paid directly to the funeral director appointed by Safe Hands Funeral Plans to conduct the funeral. As one of the UK's premier funeral plan providers it is of paramount importance to Safe Hands Funeral Plans, that customers' investments are safe and secure. To that end, maximum care has been taken to ensure that the Trust Fund in which customers' monies are invested complies with all current legislation as set out in the 'Regulated Activities Order' (Financial Services and Markets Act 2000). The overall cost of a funeral comprises two key elements - costs of services that are provided by the funeral director (known as 'Funeral Director's Fees and Services') and costs of services provided by external parties (known as 'Disbursements' or '3rd party fees'). Funeral Director's Fees and Services can be broad-ranging, but, typically, they include such items as care and preparation of the deceased, collection of the deceased, provision of transport and staff, provision of support, guidance and advice to bereaved families, etc. The Safe Hands Funeral Plans Gurantee states that no matter how long a Plan Holder lives, there will never be anything further for their family/representatives to pay towards the Funeral Director's Fees and Services. Disbursements are items provided by 3rd parties. Typically, they include such items as the crematorium fee (or if burial, the cost of opening the grave) the doctor's fee for certifying the death, and the minister's fee. These are not guaranteed. However most Safe Hands Funeral Plans options ('Pearl', 'Sapphire' and 'Ruby') include a generous, but not unnecessarily excessive, £1,200 allowance towards the Cremation fee (or if burial, the Interment fee), the Doctor's fee and the Minister's fee. Privacy and Data Protection Please note that this page is provided by Safe Hands Funeral Plans and links directly to Safe Hands Funeral Plans' protected and secure system. When purchasing a Safe Hands Funeral Plan through this page (by clicking 'Start Application') the personal information your input/provide during the application process, will not be shared with any 3rd party except, when the plan holder passes away, the funeral director appointed to carry out the funeral. Safe Hands Funeral Plans are endorsed by the National Federation of Funeral Directors - a trade organisation committed to increasing funeral cost transparency and pricing fairness. In the highly unlikely event that the £1,200 disbursements allowance plus indexed CPI uplift (calculated annually) is insufficient to cover the combined cost of the Cremation Fee (or if burial, the cost of opening the grave), the Doctor's fee and the Minister's fee, at the time of need - then any shortfall would need to be paid by the plan holder's representatives before the funeral takes place. 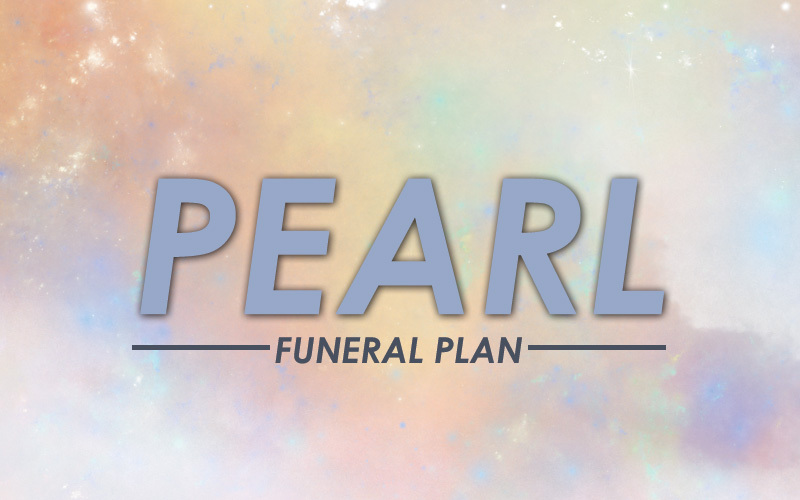 Our Pearl funeral plan is ideal for those who have simplicity in mind. Your loved ones will have the reassurance of a traditional, dignified, ceremony, with no compromise on Safe Hands’ usual levels of care and attention to detail. What's included in the Pearl Funeral Plan? This Pearl plan retails at £3,495 and can be paid for a single lump sum or in monthly instalments over 1, 2, 3, 5, or 10 years (plans paid for over 1 or 2 years are straight repayment, whilst plans paid for over 3, 5, or 10 years are subject to a flat 4% Instalment Handling Charge, calculated annually). Please Note:We will not share your details with any unauthorised 3rd party companies. 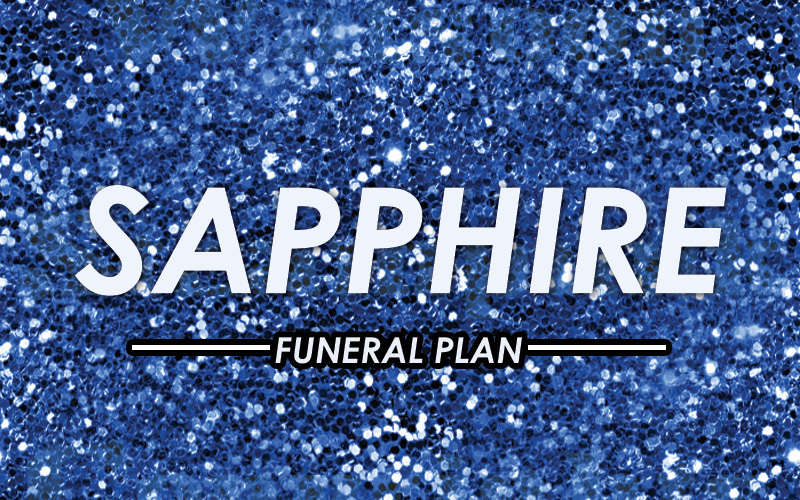 Our Sapphire funeral plan is the most popular in our range. It includes a wood-veneered coffin, plus a limousine to transport your loved ones to the ceremony. What's included in the Sapphire Funeral Plan? This Sapphire plan retails at £3,795 and can be paid for a single lump sum or in monthly instalments over 1, 2, 3, 5, or 10 years (plans paid for over 1 or 2 years are straight repayment, whilst plans paid for over 3, 5, or 10 years are subject to a flat 4% Instalment Handling Charge, calculated annually). Our Ruby funeral plan provides a comprehensive package and is particularly suited to those with larger families, or who expect many mourners to attend. The plan covers 2 limousines, open visiting hours to the chapel of rest, a quality rosewood or oak-veneered coffin, and 24 hour support. 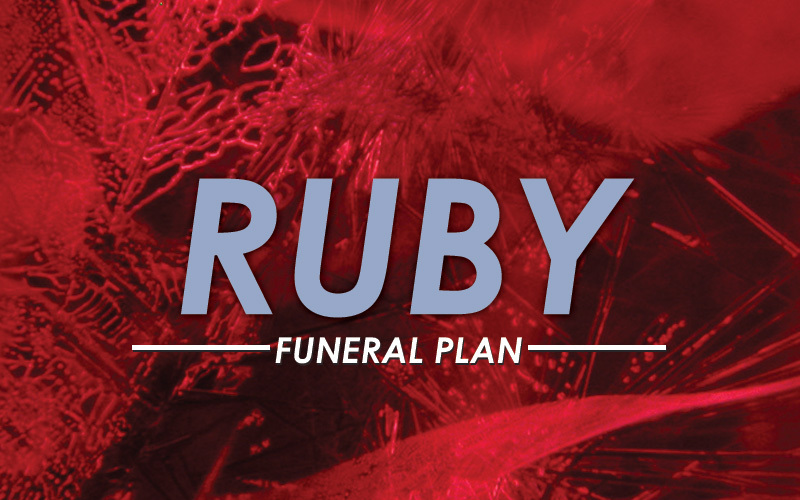 What's included in the Ruby Funeral Plan? This Ruby plan retails at £4,095 and can be paid for a single lump sum or in monthly instalments over 1, 2, 3, 5, or 10 years (plans paid for over 1 or 2 years are straight repayment, whilst plans paid for over 3, 5, or 10 years are subject to a flat 4% Instalment Handling Charge, calculated annually). A new product to our range, the Topaz plan is the most affordable plan option. It includes all the funeral director's fees and services, a standard, veneered, coffin, a hearse and 2 bearers, but excludes 3rd Party Charges. 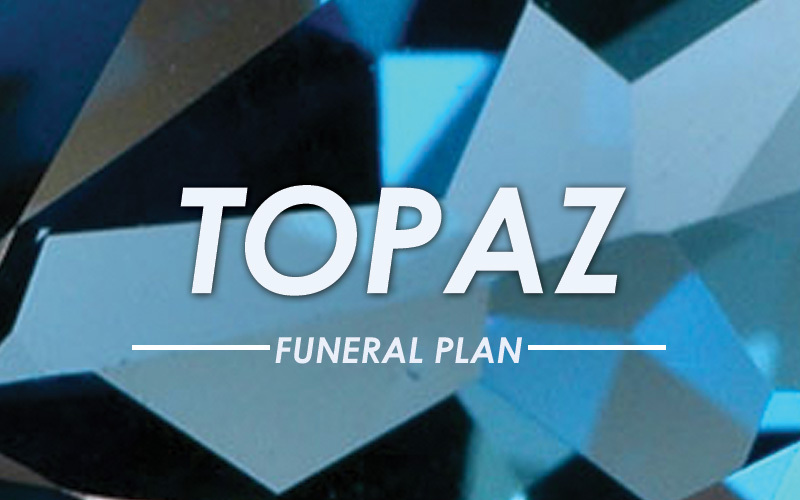 What's included in the Topaz Funeral Plan? Please note that the Topaz, unlike the Pearl, Sapphire and Ruby, does not include an allowance toward disbursements, meaning that when the plan holder passes away, there will be additional sums to pay towards the cremation or interment fee, the doctor's fee and the minister's fee. This Topaz plan retails at £2,390 and can be paid for a single lump sum or in monthly instalments over 1, 2, 3, 5, or 10 years (plans paid for over 1 or 2 years are straight repayment, whilst plans paid for over 3, 5, or 10 years are subject to a flat 4% Instalment Handling Charge, calculated annually). Safe Hands Funeral Plans are endorsed by the National Federation of Funeral Directors – the UK’s only trade body committed to increasing funeral cost transparency and pricing fairness. For more information, advice or a quick quote call 01473 760761.